Another tangent this time but this one, arguably, has more of a relevance to my writing than the Pokémon Go post two weeks ago. 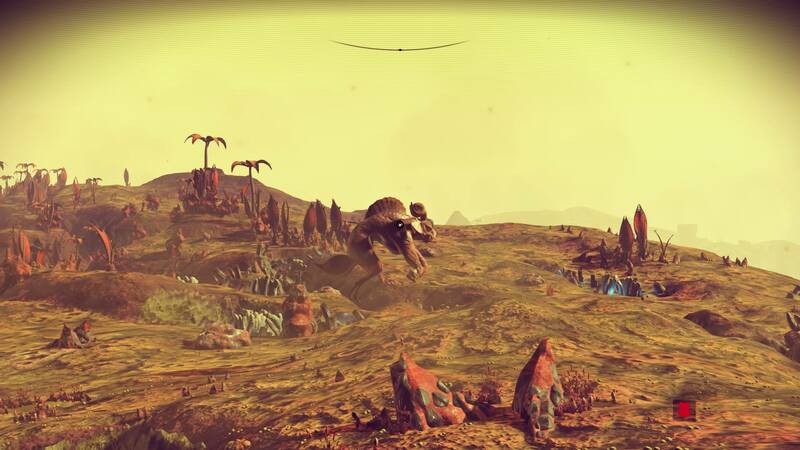 This time, I want to discuss No Man’s Sky, a game I have been looking forward to for many years. I generally avoid reviews and critics on most things. If I come across something, I won’t run away screaming but I will treat it objectively – I’d rather make my own mind up, even if it’s not ‘popular’ opinion. It goes for games, films, TV shows, books, music – everything. 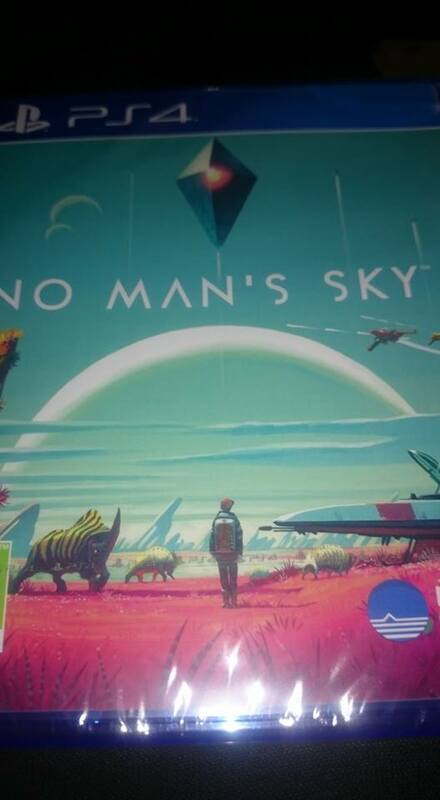 That’s why, even though a lot of people seem to be complaining about No Man’s Sky, it doesn’t bother me. There are specific reasons I want the game beyond just enjoying it for what it is. I want to go into these shortly. First though, I’ll address some of the elephants in the blog post. Let’s get this straight right now. This is not the best game in the world, probably not even close. The crafting system is limited, the interface clunky (at least on the PS4) and the lack of direction can be off-putting for some people. There’s also very little in the way of tutorial, you’ve got to try things for yourself and learn as you go. Look too closely at the graphics and they’re not as impressive as you first thought. The game is very grind-heavy and repetitive, you’ll be doing similar things on each world you come across as you follow the very loose objectives you do actually have. But, for me, a game doesn’t have to be perfect. It’s about overcoming the problems and still succeeding, finding solutions that give the best returns and being inspired. The planets I’ve come across have been awe-inspiring. Standing at the top of a cliff and looking out over the plains with water in the distance. Others are harsh and barren but make me work faster to survive and move on. Now, I’m not just a sci-fi writer, and most of my stories don’t resolve around a being alone and fighting for survival on empty worlds but that doesn’t matter. The scenery, as I’ve mentioned before, can be great at helping me find the perfect setting for a scene or story. It might only be a small part of it, a section or one particular thing that stands out – maybe on something I’ve been working on before and felt was lacking something. The emotions I feel as the protagonist can also be applied to stories. As a writer, I draw upon my own experiences and imagination, so anything that can help broaden that is welcome. By immersing myself in these kinds of games, by giving the character a life through role play techniques, I can then use some of what I experience in stories, regardless of genre. It takes practise but over the years it’s become a handy skill. Well, you don’t NEED one, but if you want to use the game as I do, then you kind of do, yeah. My character has a background, a story, a purpose (that sometimes goes against the point of the game but it is so free and vast it doesn’t matter) and I use that. It can change each week. Sometimes I create one specifically for a project I have in mind, while others are existing characters I transfer to this. It’s a big change for them and that’s a good process to explore. It lets me dive a little deeper into their mind and that, in turn – I hope – makes writing that character a better experience for my readers. I’m actually doing it with a character right now, but it’s all hush hush. Sorry! 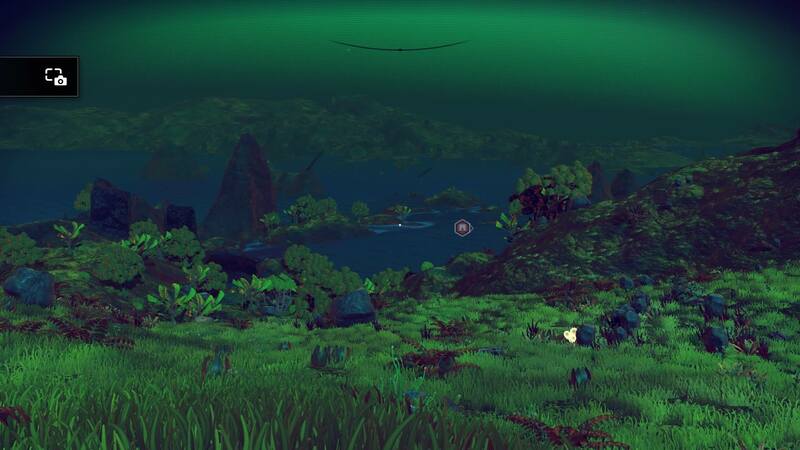 So, despite its shortcomings, I still think No Man’s Sky is a decent game for what it is – and for what I expected it to be…like I said above, not one to follow the crowd for the sake of it. The extra value I get from it won’t work for all writers but maybe for some. Hell, any creative may find it of use in the same way I do. Then again, there are plenty of ways to find inspiration, if we only remember to open our eyes, ears and other senses to what’s going on around us. Or, you can read this post and get some other ideas from me!